December was a poor month for share investors as a concerning mixture of rising US interest rates, a slowdown in eurozone business confidence, weaker Chinese growth and rising political tensions saw global markets plummet. Global shares fell 8.3% and 4.3% in hedged and unhedged terms respectively. US shares led the decline with the S&P 500 declining 9.2% during the month, ending the year down 6.2%. Markets have started to worry that the impact of the tax cuts which helped boost growth in 2018 would fade by the first half of 2019. Despite softer economic data out of the eurozone, the European Central Bank ended its quantitative easing programme in December, unwinding its monthly 15 billion euros in bond purchases. Disappointing export, retail and industrial production data from China also dampened markets. While China seeks to stimulate the economy through monetary and fiscal measures, external headwinds such as the ongoing trade negotiations with the US will likely be a source of additional risk. On the positive front, both local and international bonds rallied strongly in December, proving themselves as a good source of diversification in times of market uncertainty. The Australian dollar fell to just above US70c as market volatility heightened, down 3.5% from November. Source: JP Morgan & ANZ Wealth, 31 December 2018. 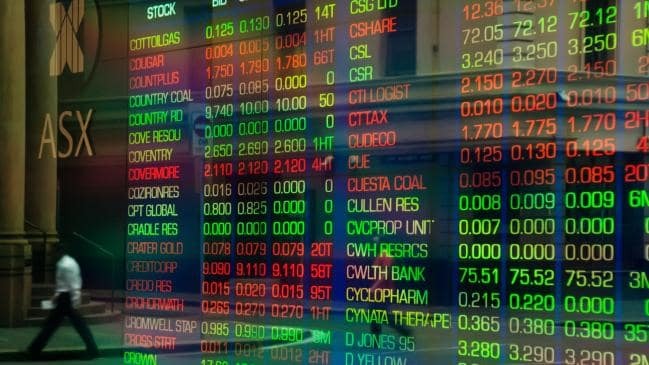 Indices: Australian Shares – S&P / ASX 300 Accumulation, Global Shares (hedged/unhedged) – MSCI World ex Australia Net, Global Emerging Markets – MSCI Emerging Markets Net in AUD (unhedged), Global Small Companies (unhedged) – MSCI World Small Cap ex Australia, Global Listed Property – FTSE EPRA/NAREIT Developed Rental Index ex Australia (hedged), Cash – Bloomberg Bank Bill, Australian Fixed Income – Bloomberg AusBond Composite 0+ Yr Index, International Fixed Income – Barclays Global Aggregate Bond Index (hedged). Please note: Past performance is not indicative of future performance. Source: Bloomberg & ANZ Wealth, 31 December 2018. All foreign exchange rates are rounded to two decimal places where appropriate. Please note: Past performance is not indicative of future performance. Disclaimer: This information is current as at 31 December 2018 but is subject to change. This information has been prepared on behalf of Millennium3 Financial Services Pty Ltd ABN 61 094 529 987, AFSL 244252, a wholly owned subsidiary of IOOF Ltd ABN 21 087 649 625 AFS Licence No. 230522. Whilst care has been taken in preparing this information, Millennium3 and its related entities do not warrant or represent that the information is accurate. To the extent permitted by law, Millennium3 and its related entities do not accept any liability from the use of the information. Past performance is not indicative of future performance. The value of investments may rise or fall and the repayment of capital is not guaranteed. The information is not to be construed as investment or financial product advice and should not be relied upon as a substitute for professional advice. The information provided is of a general nature and has been prepared without taking into account a potential investor’s objectives, financial situation or needs. Before acting on this information, potential investors should consider whether the information is appropriate for them, having regard to their objectives, financial situation and needs. Millennium3 Financial Services Pty Ltd ABN 61 094 529 987, AFSL 244252 is a wholly owned subsidiary of IOOF Ltd ABN 21 087 649 625 AFS Licence No. 230522.